We, Tianhui Machine is a small and mid-sized CNC machining company. 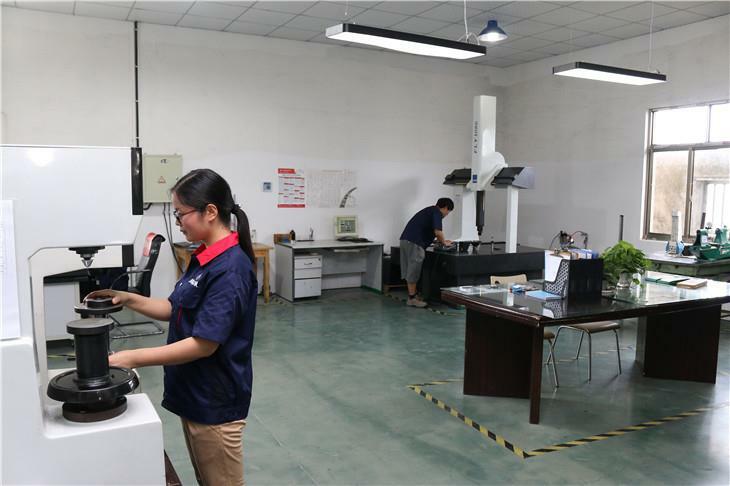 Therefore, We understand CNC Machining quality control is the cornerstone of our company. At our machining shops, every worker is involved in the CNC machining quality control. We have ISO9001:2008 quality management certification, While quality is more than just a certification. 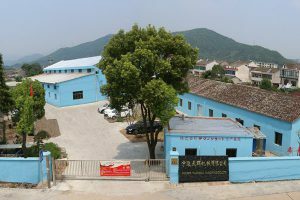 Our factory has the necessary internal CNC machining quality control system, In recent years, We use ERP system for production management, so we are able to handle every step of the production process – from initial quotation to final delivery. We have strong in-house dimensional inspection ability. Because we have equipped with all necessary dimensional inspection equipment, like CMM, Image measuring instrument, etc. We have strict inspection procedures such as first piece inspection, process inspection, and final inspection. We can guarantee that all machined parts are inspected and approved before delivery. Magnetic particle inspection(MPI) is a highly effective and sensitive method to reveal surface or near surface discontinuities of machining parts, often used to inspection machined casting or forging parts. MPI is suitable for ferromagnetic materials, like carbon steels, most alloy steels. Recently, MPI becomes particularly important because cleaning method such like shot blasting, which tends to close the surface breaks of casting or forging parts, It is very hard for QC people to reveal those surface breaks through visual inspection. Every year, We purchase many castings and forgings for further machining. Although our suppliers have also done the necessary MPI inspection, But after the machining process, we may find new cracks in the machined area. Therefore, We purchased MPI equipment in 2016. Siemens company has trained our MPI operators, and our worker strictly follows the Siemens procedures. Hardness is an important mechanical property index of metal materials. Because there is an approximate conversion relationship between hardness and strength, Based on the hardness value, we can roughly calculate the strength value. Therefore, hardness testing is widely used in CNC machined parts. 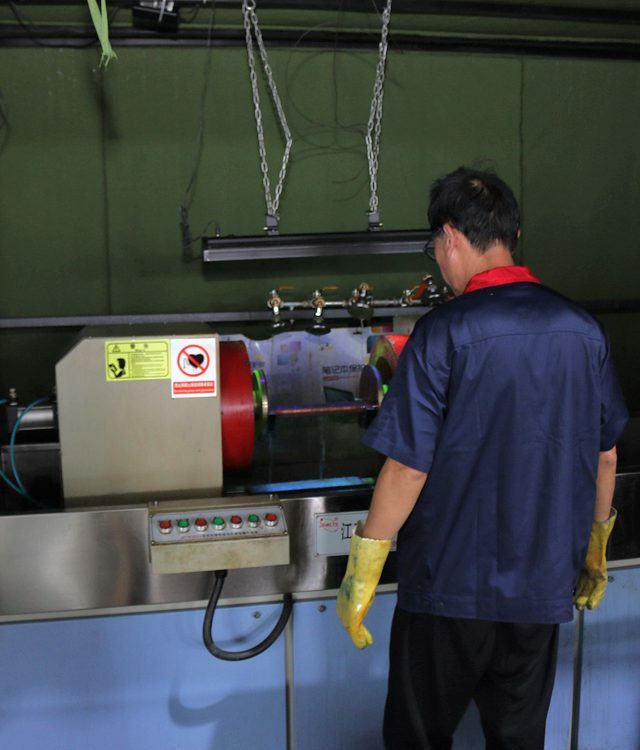 Our machining factory strictly follows ISO9001 quality management system and working towards to 5S. From incoming material inspection, in-process inspection to Final inspection, We have a workable control plan. 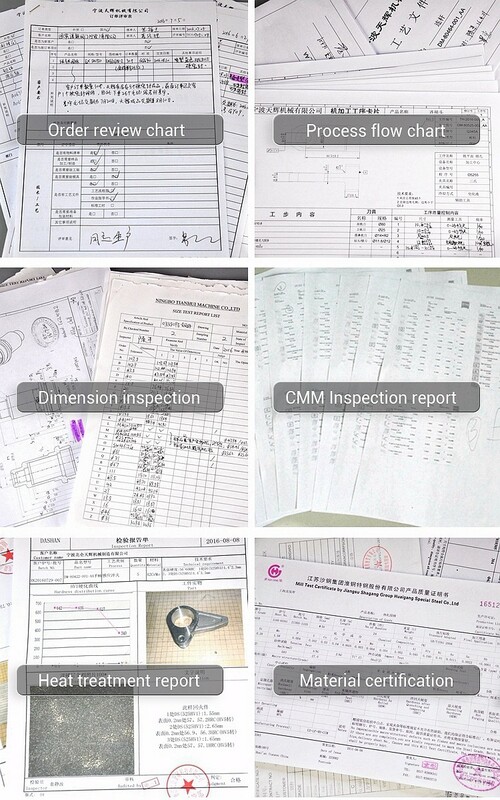 We can do Dimensional inspection, Non-destructive detection in our factory, Those years, we have successfully completed a lot of PPAP report for many customers. Our CNC Machining quality control ability can meet customer’s requirement.